This Friday we have a brand new soldering kit for beginners that teaches you how to make a flashlight, just in time for Halloween! We also have the new Soft Circuits Kit from ChickTech that covers the basics of e-textiles and wearables, an updated version of the OpenMV, two antennas for your GPS/GNSS devices, and additional parts for your Shapeoko and Nomad CNC mills! Learn the Basics of Soldering and Circuits! Are you new to soldering? This Flashlight Soldering Kit is an easy-to-assemble soldering kit designed to help teach the basics of through-hole soldering and circuit design. 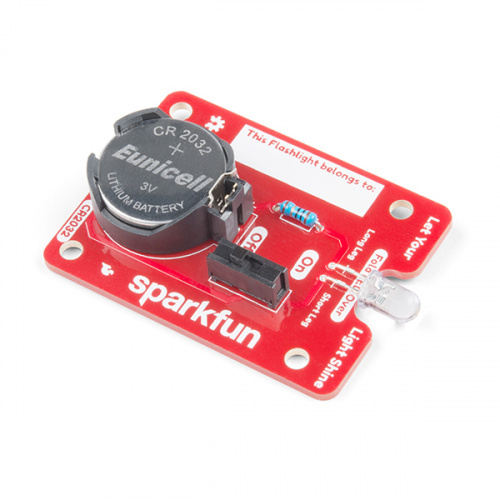 This kit only requires you to solder four unique parts onto a PCB and insert a CR2032 battery. Once completed, you will have a simple flashlight that will light up dark areas and keep the monsters away! ChickTech's Soft Circuits Kit is a fun combination of electronics, software and art! 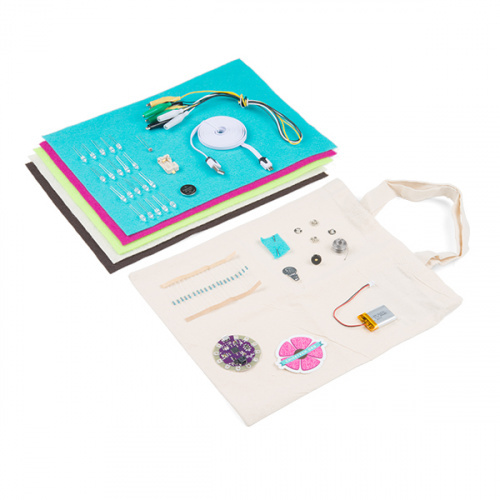 Using the materials in the kit, you'll learn the basics of electronic circuits and coding with Arduino by creating a LED bracelet and a unique and interactive totebag - no prior experience necessary! To design your own soft circuits, you'll learn to sew so that electricity flows, code with the LilyPad Arduino and create plenty of exciting projects! 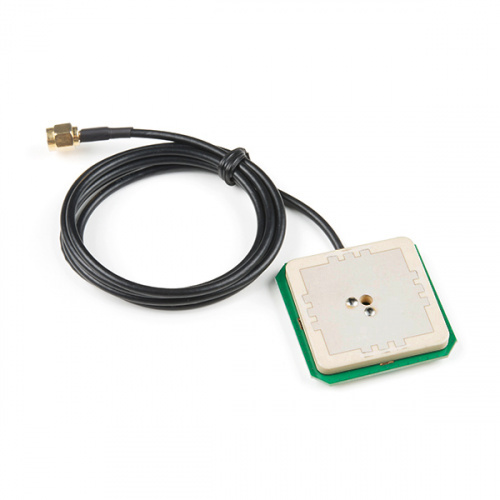 Today we also have two new antennas for your GPS and GNSS devices! 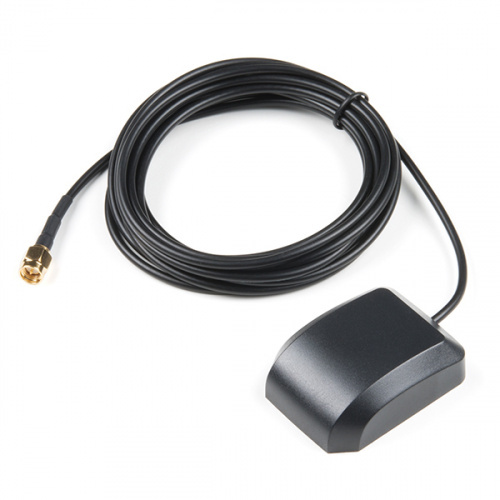 One is a Magnetic Mount Antenna and the other is an Embedded Antenna. Make sure to check them both out! To help with all your CNC needs we also have five brand new accessories, including two new drills, collets and an edge finder! Make sure to look through them all and see if there is anything you might need! Frist itâs a great video, we also think it very useful But i have a suggestion. For me i comeform Pakistanï¼this things are expensive. If i want make it i will pay more, in the other side i fonud another ways to do this. When i surfing at the Youtube,I find a New PCB company this (https://www.pcbgogo.com?code=y) He offers me some good PCBs i can fix them, Maybe u thinks this is a spam but all things is true, Thanks for reading it's useful to poor people. Hey 651, Glad you enjoyed the video! Definitely not spam to mention other PCB fabrication options. It's truly amazing how many great deals are out there these days. 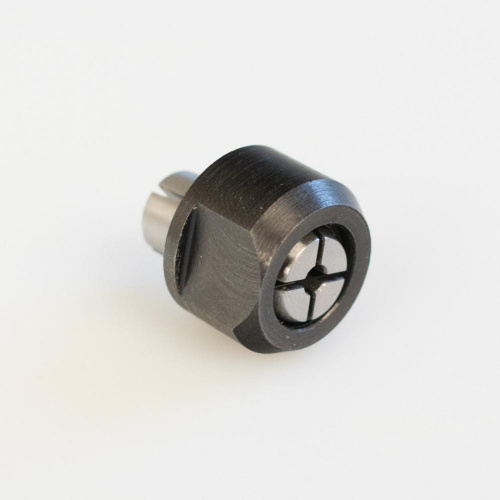 SparkX is constantly on the search for cheap deals for our quick turn prototyping options. I think I hear about a new fab house from them every month. I don't believe we have tried PCBgogo yet, but I'll pass on the word. Our usual prototype PCBs come from OSHpark or PCBway. If you are able to use the design files from our GitHub repo page to order your own PCBs (and find the parts necessary), by all means, please do! That's the true open source way! It especially makes sense if you were planning on making a large amount of kits. We hope that our kit can be a convenient and affordable option for most, but if you're willing to do the research and bulk ordering, then go for it! We'd love to see your finished assembly. Please post a picture. Thanks for your comment and good luck! Wow! Soldering at just 3 years old! I thought I was doing good starting at about 12 years old! That was over 50 years ago, and I started out using a soldering gun! Hey 773, I definitely agree. The Weller WE1010 we used in the studio, the high-precision flush cutters and the matte are on the nicer side and cost a bit more than what's necessary for a total newbie. We have a beginners tool kit that is a good option, or if you want to go super minimalist, just this iron and solder would get ya there. 96% Sn (tin) 3% Ag (silver) 0.5% Cu (copper) 0.15% Sb (antimony) Eek! How dangerous is this? I'm wondering if we should look into our supplier and see if they can omit that. With this in mind, thanks for the reminder about washing hands. Definitely a good idea. As always, we appreciate you comments. Thanks! I wouldn't worry too much about 0.15% Sb (if it were 5%, then I'd be worried), at least not for electronics. Avoiding breating the smoke, and washing hands before handling food/drink is probably sufficient. I'm more adamant about avoiding Sb in plumbing solders, as then there's the possibility of leaching into the water or reacting with stuff in the water. Thanks for your advice on this 773. I'm glad to hear, in your opinion, we should be safe at 0.15% Sb. I'm sure you've already read about this, but for those who haven't I found the wiki page on Sb applications quite fascinating. Fun to learn what else this element is used on, and it looks like we're gonna run out in just 13 years! A couple points about the video. 710Â°(I'm guessing F here... you don't specify) is still pretty hot for regular solder. I usually use 650Â°F which might still be a bit on the hot side... Is the solder you are using lead-free? That might explain the need for 710Â°F... Ok... I just got to the point where you are soldering, and I can see from the way the surface finish goes matte when it cools, you are using lead-free solder. 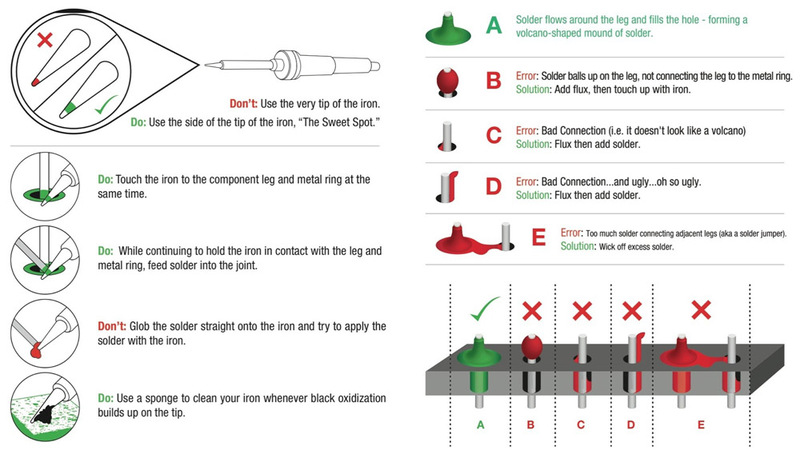 While I generally like the SparkFun large models (I really like the large iron tip with the explanation of what part of the tip to use), I don't like the large chocolate kiss example for a good soldering joint. If a soldering joint looks like that I would worry about poor whetting to the solder pad because the bottom comes in towards the center. Hey Sembazuru, Good points for sure! If you don't plan on cleaning with water (or can't), then maybe a "no-clean" solder would be a better option. We clean everything here at sparkfun, either in the big production batch washer or (if there's rework), then with a brush and croc-pot. Having compressed air also helps get all of the water (and flux) off the board completely. I suppose we are also lucky that Colorado is such a dry climate. Another good point. The bottom of the chocolate kiss model does indicate a poor connection at the bottom. Small regular chocolate kisses have a much better solder joint that taper down nicely to the outer edge of the annular ring. For what it's worth, in the hookup guide, M-SHORT references a nice graphic with some good/bad solder joints. I hope this helps all the first-timers. Dang. That's crazy! I'm usually pretty amazed hearing corrosion stories about circuit boards. I wonder if space is any easier? I once attended a manufacturing conference put on by Aqueous Tech (the manufacturer of our batch washer), and they got me scared of shipping out product with even just plain old dust :) 99% of our products go through the washer. It's those darn "no-clean assemblies" that keep me up at night! But some of our products just can't get wet (most of our weather products that have humidity sensors, and the new GPS-RTK). On these assemblies, we have to use a no-clean solder paste, which most of us around here think looks pretty darn ugly. Also, this reminds me of an interesting project that involved some difficult corrosion problems to solve. We were lucky enough to have Damon McMillan come talk to SparkFun about his sea charger.